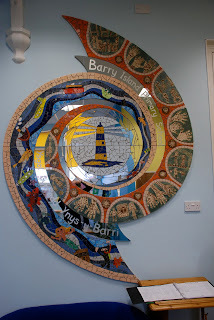 I was fortunate to be able to visit a fabulous primary school in Barry Island recently. Anyone that has worked in schools can tell masses about the culture and ethos of a school they are visiting in just a few minutes of arriving. 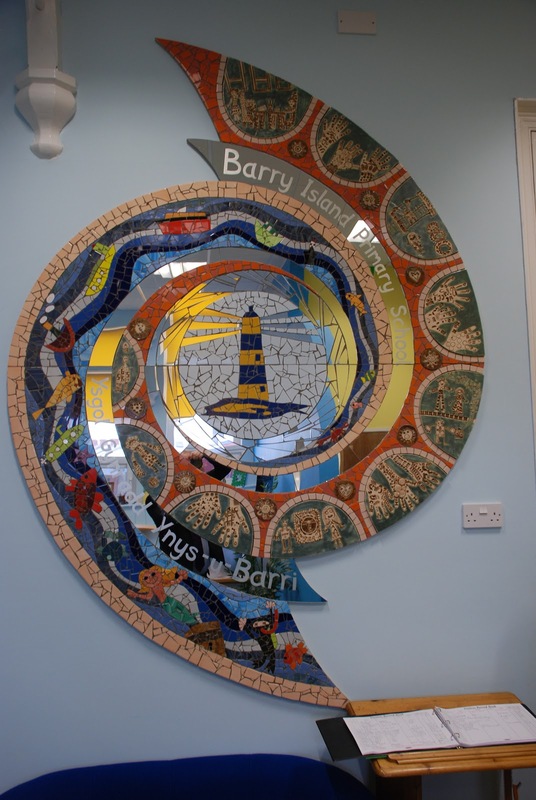 The mosaic mirror placed in the foyer of this school was made by pupils. Yes there was a local artist to guide them, but every piece of it was actually constructed by the young people. They didn't just watch it happen as so often happens. As I and an Associate in the-learning-crowd measured an external area, lots of pupils came up anxious to find out what we were doing and offering to help. Of course we took them up on it when we could. There were other examples of this positive engaged approach involving pupils helping create their environment all round the school, external walls, displays and so many other places. It looked like a fab school - it was a fab school!